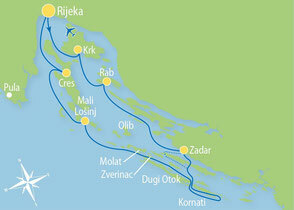 Discover the beautiful Croatia on our small ship cruises! You can join other people on board and rent one cabin only! 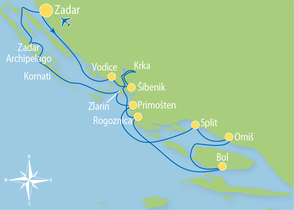 This year we prepared for you amazing departure places, Dubrovnik, Opatija, Rijeka, Zadar, Trogir, Split and also many different cruise types. Something for everybody. Discover something new, book a boat and cruise! 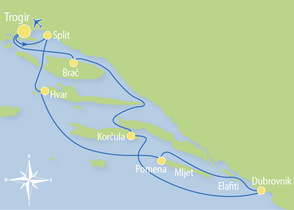 The climate on the Adriatic is very much within the same parameters as the general Mediterranean climate. It is characterized by hot summers, many sunny days, and mild and rainy winters. The warmest months are July and August, when the air temperature is between 25° C and 35° C (77° F - 95° F), and the sea temperature reaches up to 28° C (83° F). The rain is very rare in this time, and it is considered to be the peak of the tourist season. 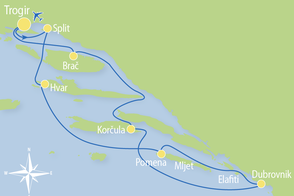 Averaging from 2,400 to 2,800 sunny hours per year, the Croatian Adriatic is one of the sunniest coastlines in the world. Weather forecast for Adriatic in each moment you can check on Meteorological and Hydro logical service.